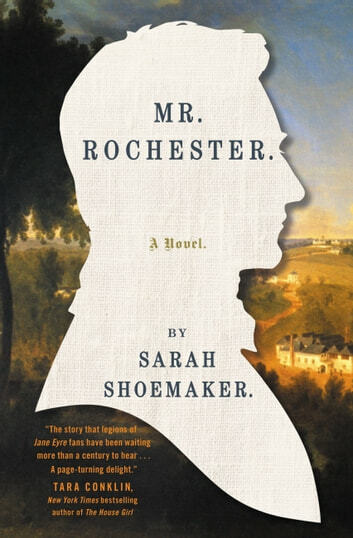 A deft and irresistible retelling of Charlotte Brontë's beloved classic Jane Eyre--from the point of view of the dashing, mysterious Mr. Rochester himself. For 170 years, Edward Fairfax Rochester has stood as one of literature's most complex and captivating romantic heroes. Sometimes cruel, sometimes tender, Jane Eyre's mercurial master at Thornfield Hall has mesmerized, beguiled, and, yes, baffled fans of Charlotte Brontë's masterpiece for generations. But his own story has never been told. We first meet this brilliant, tormented hero as a motherless boy roaming Thornfield's lonely corridors. On the morning of Edward's eighth birthday, his father issues a decree: He is to be sent away to get an education, exiled from all he ever loved. Young Edward's journey will take him across working-class England and the decadence of continental Europe before he lands on the warm, languid shores of faraway Jamaica, where his inheritance lies. That island, however, holds secrets of its own, and Edward soon grows entangled in morally dubious business dealings and a passionate, whirlwind love affair with the town's ravishing heiress, Bertha Antoinetta Mason. Eventually, in the wake of a devastating betrayal, Edward must return to England with his increasingly unstable wife to take over as master of Thornfield. And it is there, on a twilight ride, that he meets the stubborn, plain young governess who will steal his heart and teach him how to love again. MR. ROCHESTER is a sweeping coming-of-age story and a stirring tale of adventure, romance, and deceit. Faithful in every particular to Brontë's original yet full of unexpected twists and riveting behind-the-scenes drama, this novel will completely, deliciously, and forever change how we read and remember Jane Eyre.